Today is Charles Darwin Day! 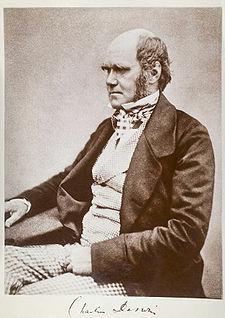 Today, is Charles Darwin’s 200th birthday! So, when one thinks about Charles Darwin, you think about Galapagos and reptiles, huge reptiles – maybe exciting, maybe not…. A descendant of Lieutenant John Lort Stokes, who accompanied Charles Darwin on his voyage around the world aboard HMS Beagle, is planning to rebuild the famous ship. David Lort-Philips, a scientist from Lawrenny, Pembrokeshire, and his partner, commercial yacht master Peter McGrath, have started the Beagle Project Pembrokeshire. They are working on the ￡3,300,000 plan to recreate a full-size version of HMS Beagle. Mr. Lort-Phillips plans on having the ship ready by 2009 to celebrate the 200th anniversary of Darwin’s birth. Construction is expected to take about 14 months to complete. If the funds are raised, the new Beagle will be built by shipwrights in Milford Haven. The new Beagle will be a fully functioning ship but with a modern interior and will sail with a crew of university professors, science professionals, and students to undertake scientific research around the world. The 2009 HMS Beagle will be a sailing replica of the ship Charles Darwin boarded in 1831. She will be built of larch and oak planking on oak frames. Unlike the 1831 Beagle, her 2009 descendent will have diesel auxiliary engines, radar, GPS navigation, satellite communications and modern safety equipment. Her design will be approved by Germanischer Lloyds and she will be certified for Category A – unrestricted ocean sailing. The replica Beagle is not intended to be a museum ship; she will be equipped with laboratories and equipment to allow contemporary, original research. This is not only in keeping with Charles Darwin’s legacy but also creates an opportunity to engage students and teachers in the excitement of real scientific discovery. The Beagle will spend 2009 – 2011 circling the world in Darwin’s wake, making similar landfalls and undertaking shore expeditions. She will host two perpetual DNA-based projects that together will explore both macroscopic and microscopic biodiversity and offer opportunities for sustained formal curriculum links during the voyage and beyond. The Beagle will also host shorter, one-off researcher-led projects targeting specific localities along the voyage. Science News for Kids treats us to an essay on Darwin, but didn’t mention that as a kid he spent a lot of time doing amateur chemistry in a garden shed, blowing stuff up and getting the nickname ‚Gas‘. The Guardian publishes an interactive video. The Telegraph gives us a canter through Darwin’s life in The Man behind the theory of evolution. The Times tried to be funny with If Charles Darwin were alive today he’d be Simon Cowell (TV talent shows bring analogous to evolution, you see). It also celebrates the other hero of the piece (Beagle!) with a feature on The Coffin Brig that sailed round the world. The Times also celebrates Charles Darwin the meteorologist (at which I am sure Captain Robert FitzRoy would raise an eyebrow). Scientific American airs their Darwin Day special podcast. Michael Goldfarb in the Global Post starts his piece with pics of the mockingbirds and a great write up of the Darwin exhibition at the Natural History Museum, saying if you read one thing on Darwin…. ⟵Soymilk is healthy – Thank god!